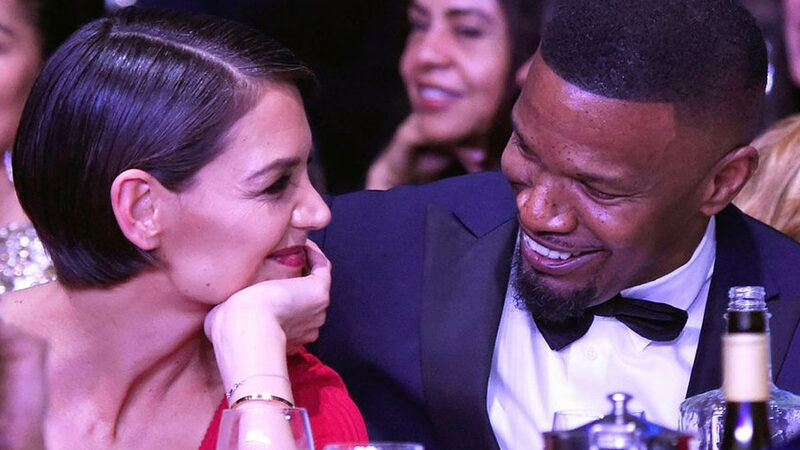 Are Katie Holmes And Jamie Foxx Really Together? She's been silent about the relationship since 2013. It feels like a lifetime ago when we were living in the era of Katie Holmes and Tom Cruise before the couple divorced in 2012 after a six-year marriage. Shortly after their breakup, Holmes has been linked to actor Jamie Foxx when they were spotted dancing together in the Hamptons. Recently, a Radar! report surfaced that the couple had been planning a secret wedding and decided to split because Holmes, 39, had a "sudden change of heart" and "couldn't get over her trust issues." However, Holmes' rep completely shut down the rumors. "The Radar story is 100 percent untrue,” she told People. The pair has technically never even confirmed their relationship in the first place. (Foxx left an ESPN interview when he was asked directly about Holmes and their Valentine's Day date.) They did, however, sit next to each other at Clive Davis' Pre-Grammy Awards Gala in January and were very loving and affectionate. They were also spotted on many date nights, but made sure to be coy about it. There's no rulebook that says any celebrity has to confirm or deny their relationship to the world, which makes it pretty nice that Holmes and Cruise can live their lives without answering to anybody. This article originally appeared on MarieClaire.com. Minor edits have been made by the Cosmo.ph editors.